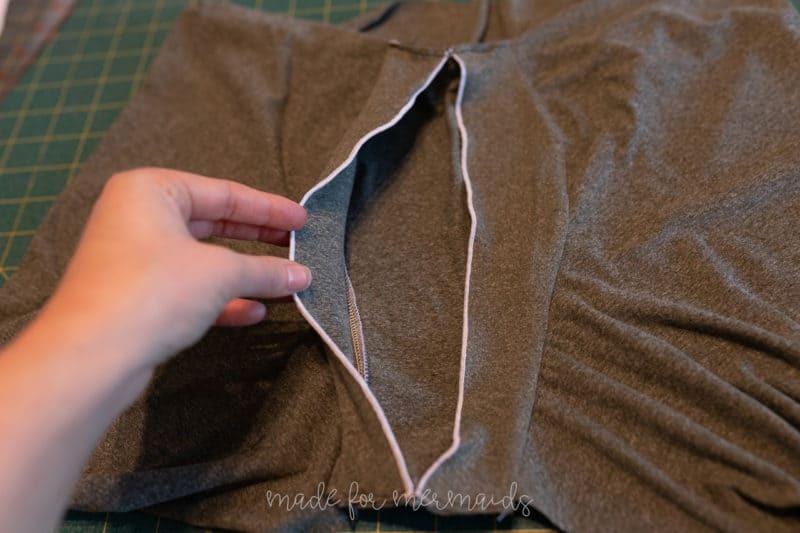 This style of RTW boxer briefs can be very pricey, but with this hack, you’ll be able to recreate them in no time! 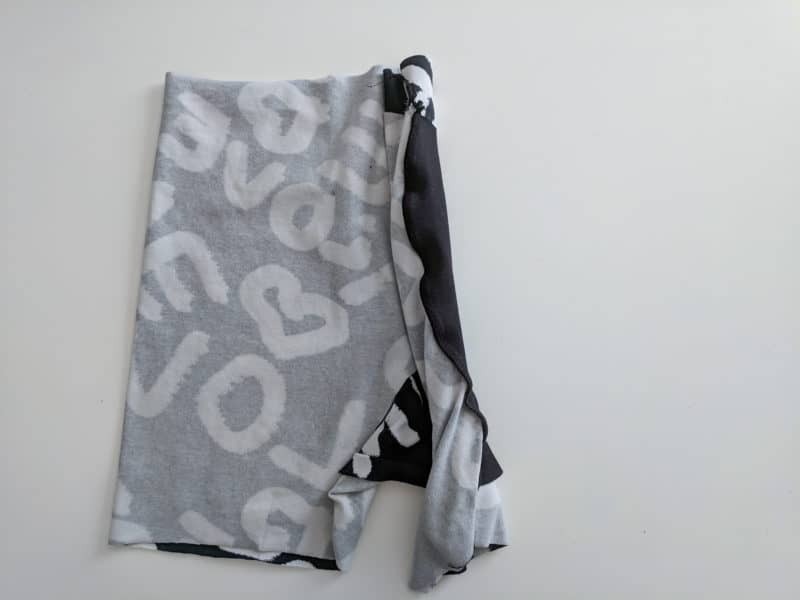 First, download your free add-on of the hammock piece. You’ll cut the boxers normally, plus 2 (mirror images) of the hammock piece. Finish the straight center edge of the hammock piece. 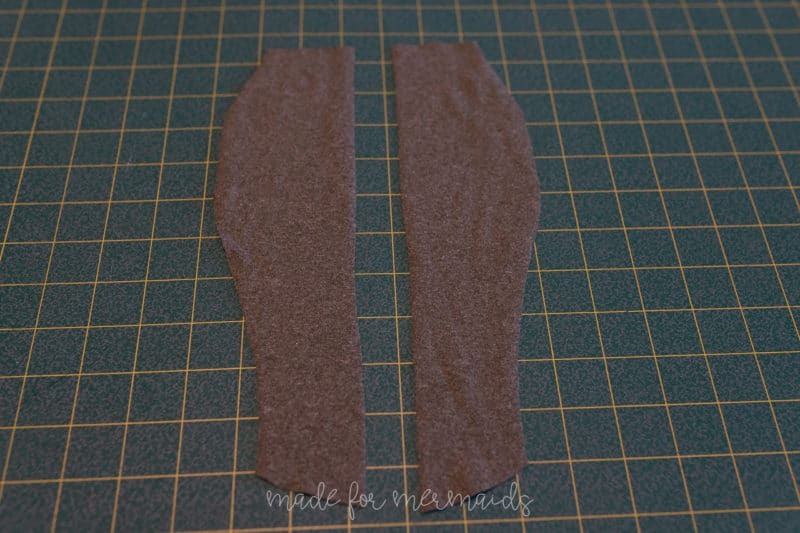 The inspiration pairs have a rolled hem, which is what I chose to do. 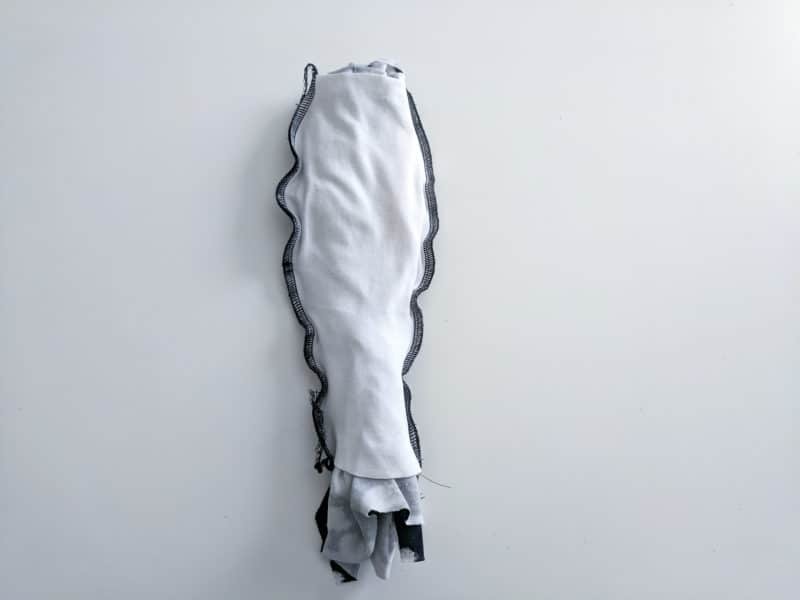 I think you could alternatively finish with fold over elastic or picot elastic or even very small fabric binding. 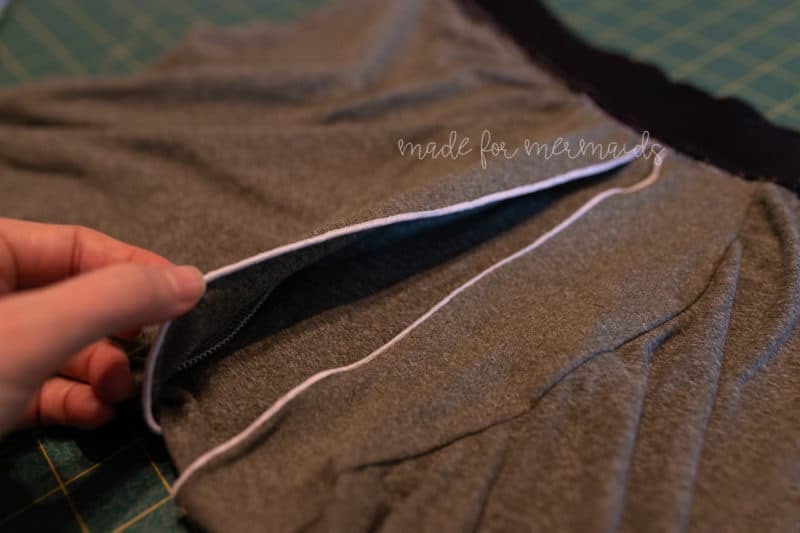 OR, if you’d like to enclose the seam, after pinning the center piece to main at the crotch seam (same as tutorial), pin the hammock piece to the wrong side of the main crotch curve. 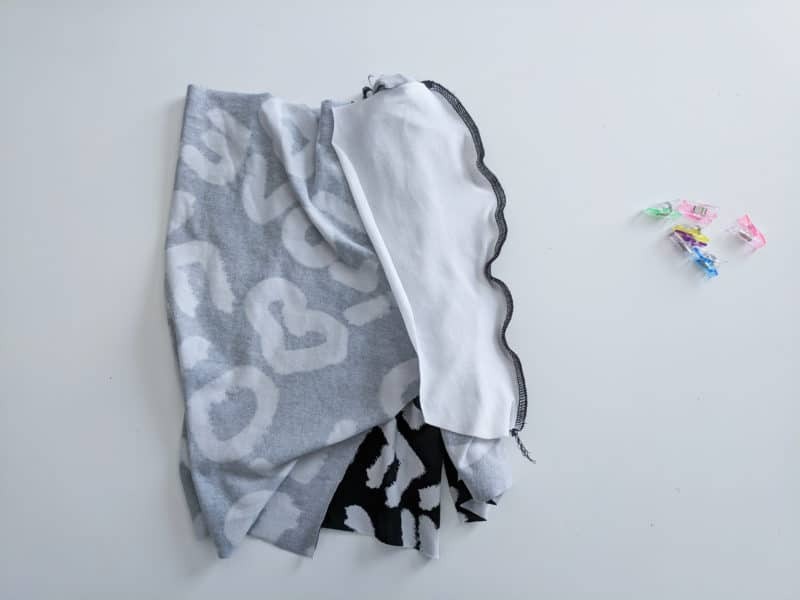 You will have 3 layers of fabric, with the main piece sandwiched between the hammock and center pieces. 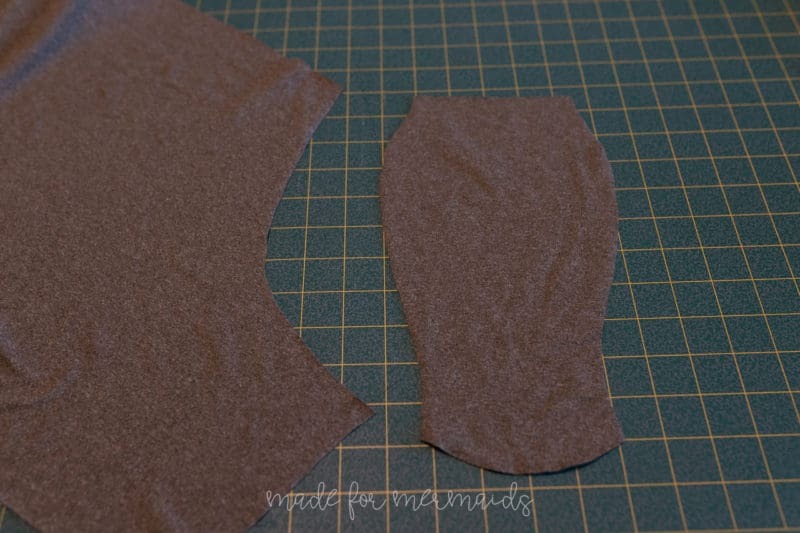 Then flip the pieces right side out to enclose the seam. Repeat on other side. Baste the top and bottom edge of hammock pieces to the center piece. Finish constructing per tutorial. Tada, new hammock option complete! 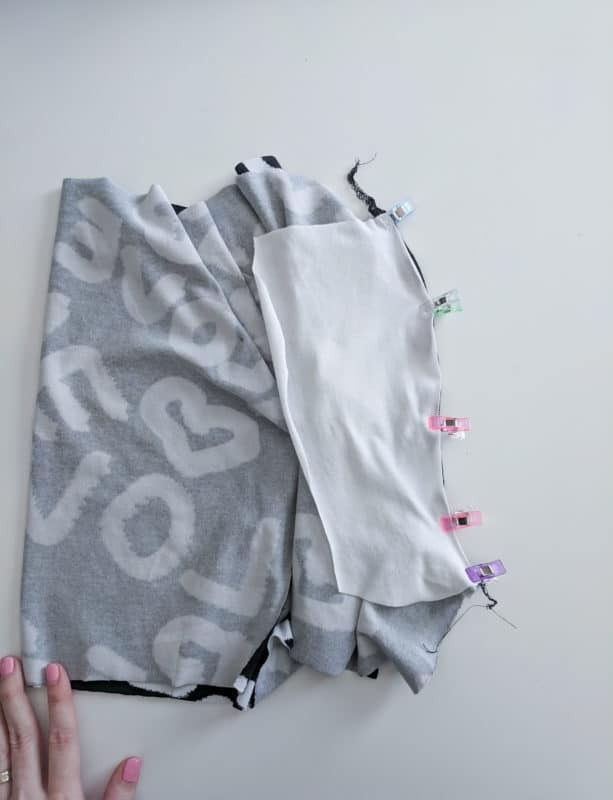 If your boxer-wearer happens to be sensitive to seams there is a really easy way to enclose them with the burrito roll method! I’ll show you how below. 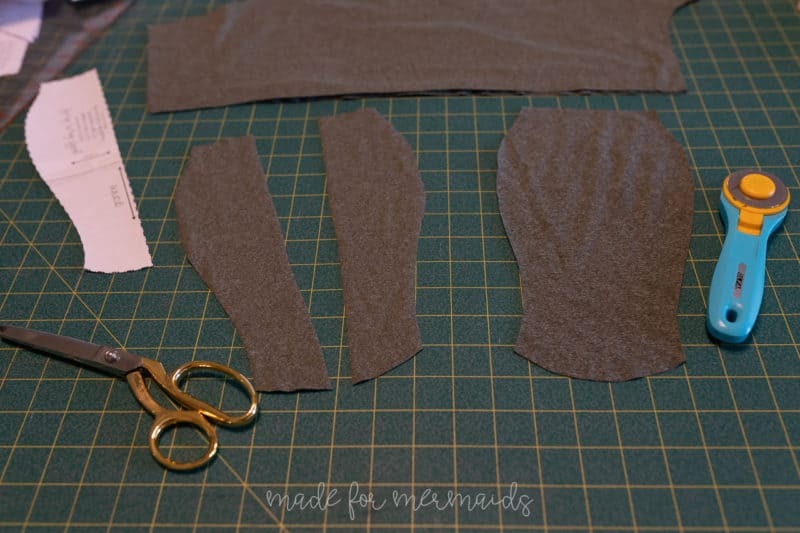 First cut your pattern pieces as normal but cut an extra center piece. I cut two different colors to help show the tutorial better. 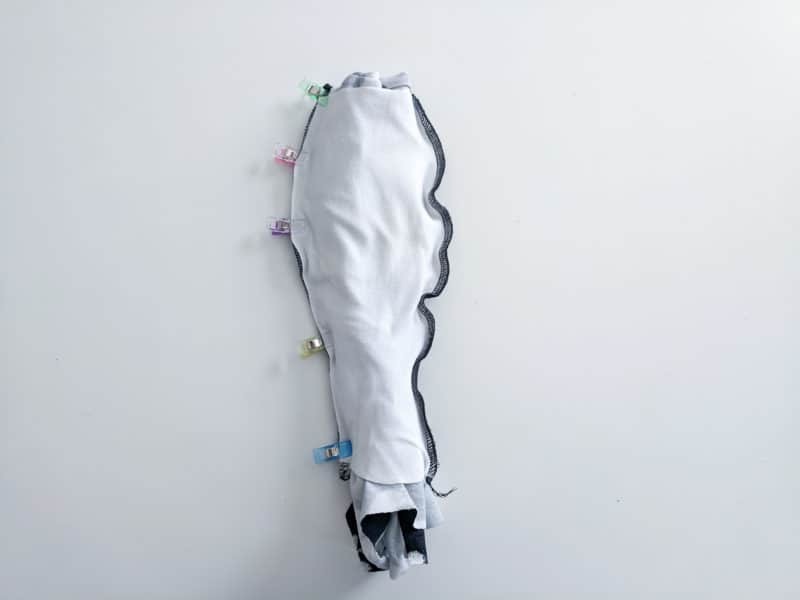 Note- if you have any sports players who need to wear a cup, this is a great hack to also use as a ‘pouch’. 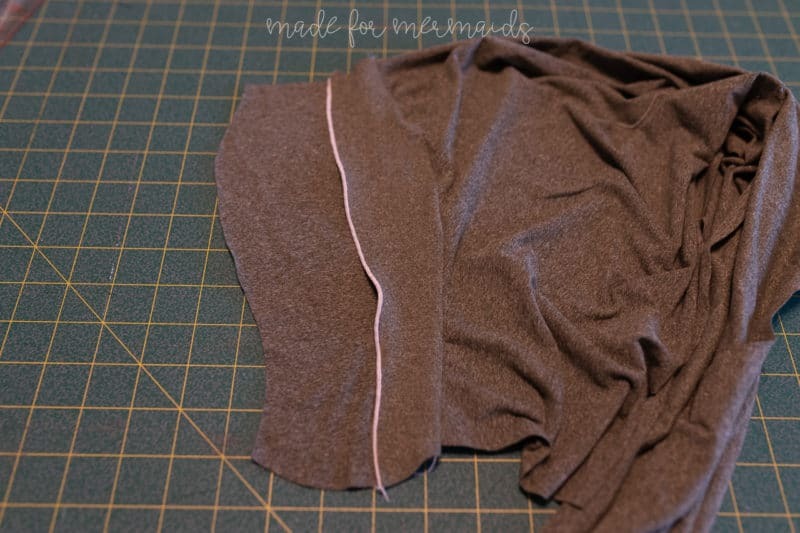 Simply hem the top edge of the inner center piece 1/2″ before constructing and use Michelle’s instructions below to finish. 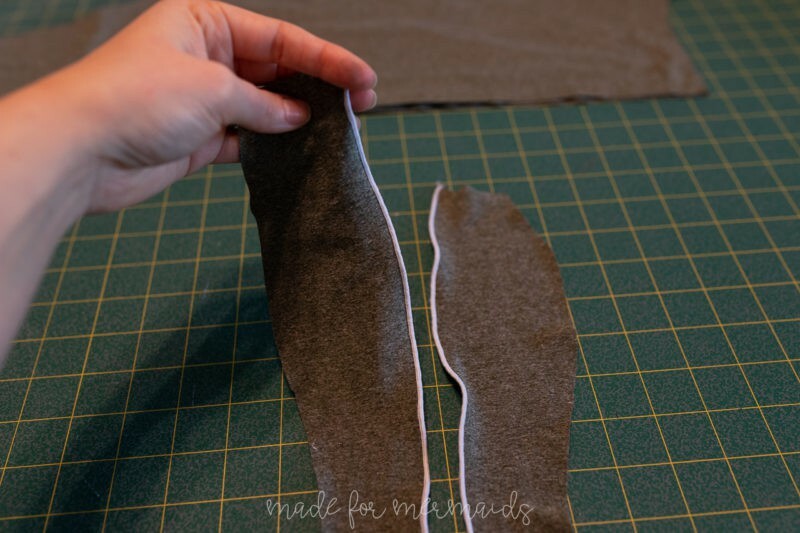 When adding the elastic, be careful not to catch the hemmed edge in the elastic! 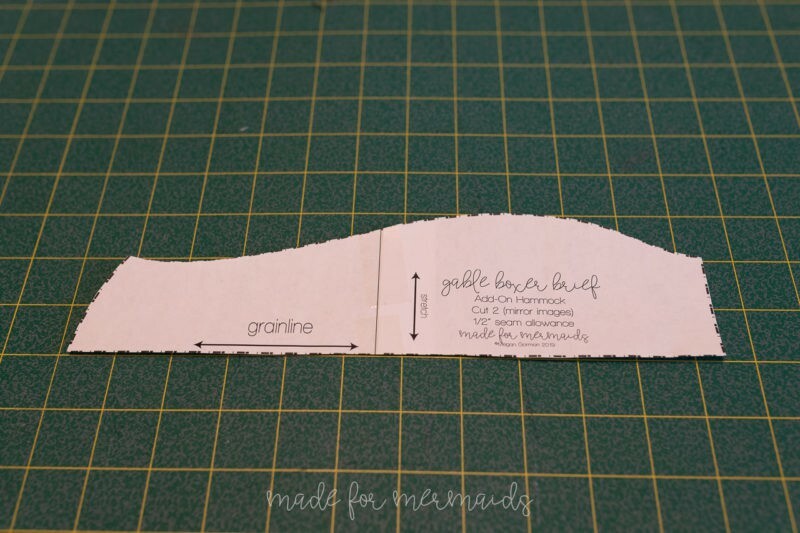 Then you’ll go ahead and attach the first piece as directed in the pattern. 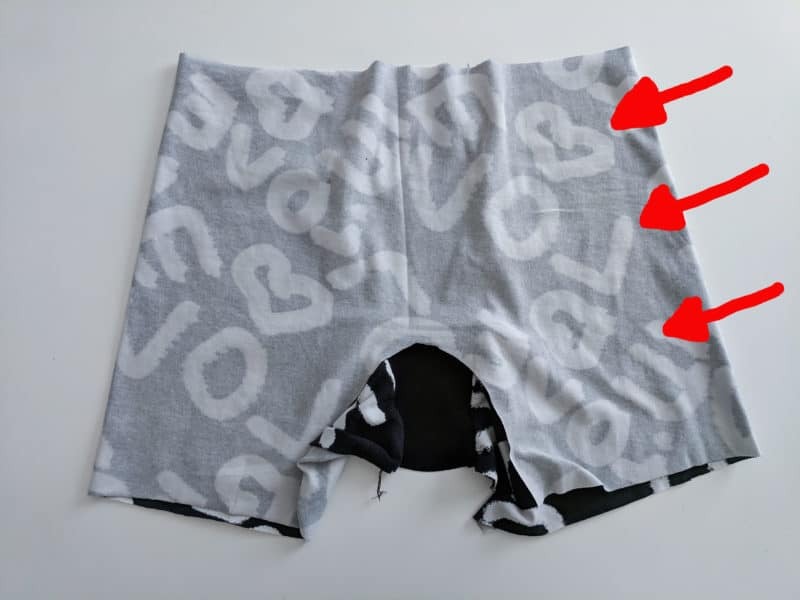 Lay your boxers out flat with the “backside” facing up wrong sides out. 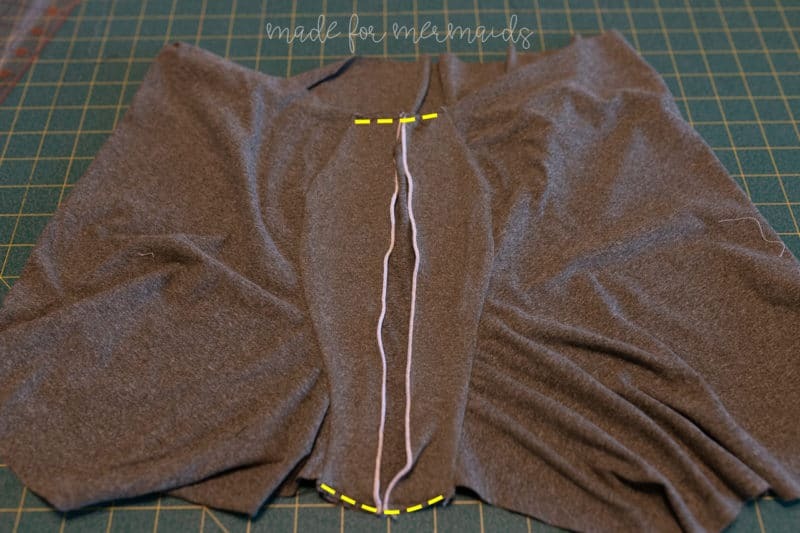 From here, you’ll grab one side of the boxers and roll them in towards the center, until you get to your seam of the center piece. 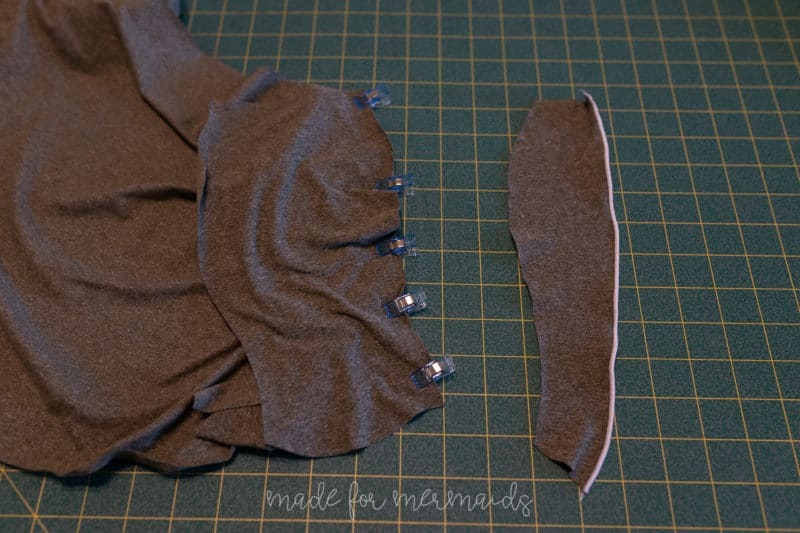 Next, grab your extra centerpiece and lay it wrong side up lining up the top and bottom with the top and bottom seam you sewed the first piece on. 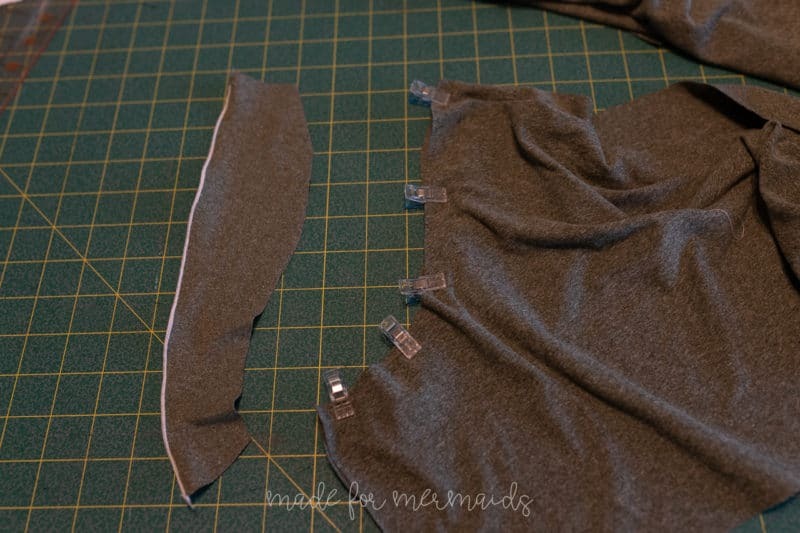 (now remember you have an extra 1/2 inch seam allowance you’ll be working with so you can either cut it off prior to sewing or overlap an extra .25 inch and cut that off while serging). 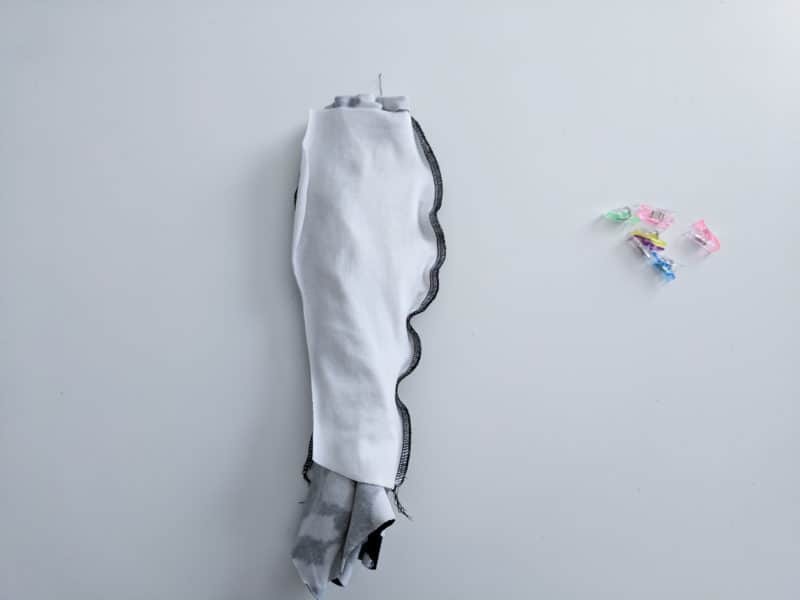 Stretch and pin evenly as you did with the initial centerpiece. 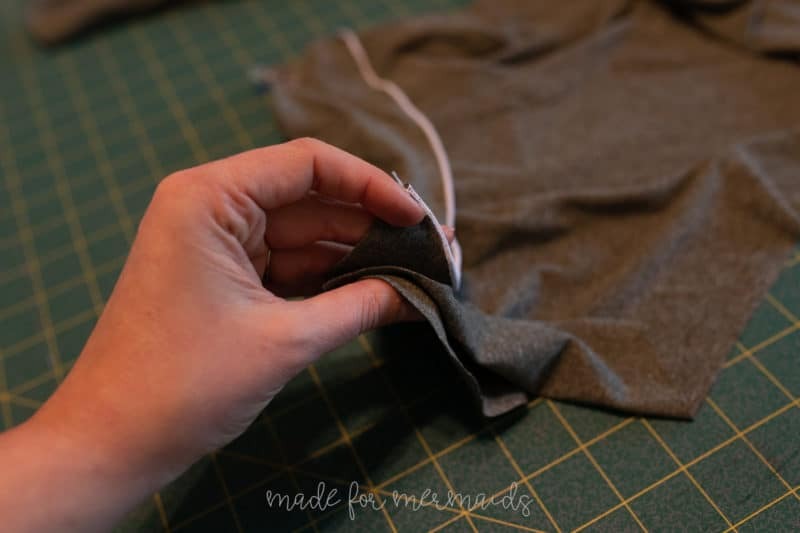 Then go ahead and sew it on over top of your initial seam being careful not to catch any extra part of the boxers in the seam. This is what it will look like. 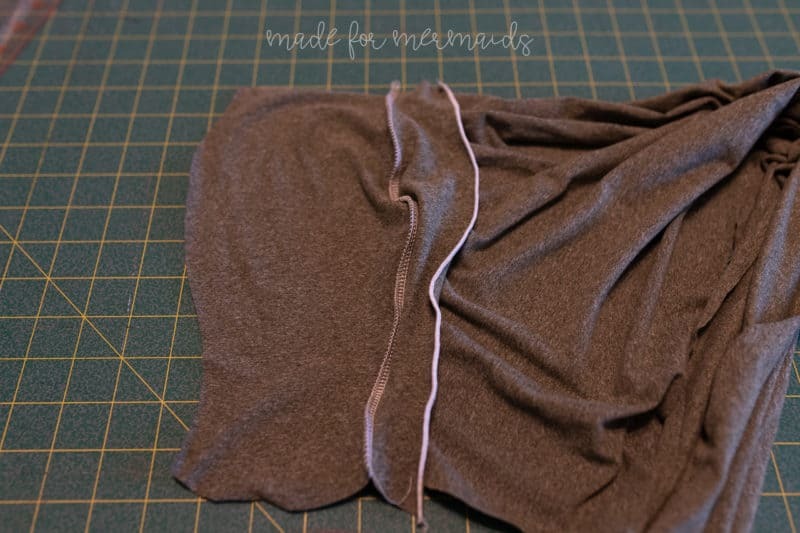 From here, you’ll take the opposite side and repeat by rolling it in towards the center until you see the opposite seam. 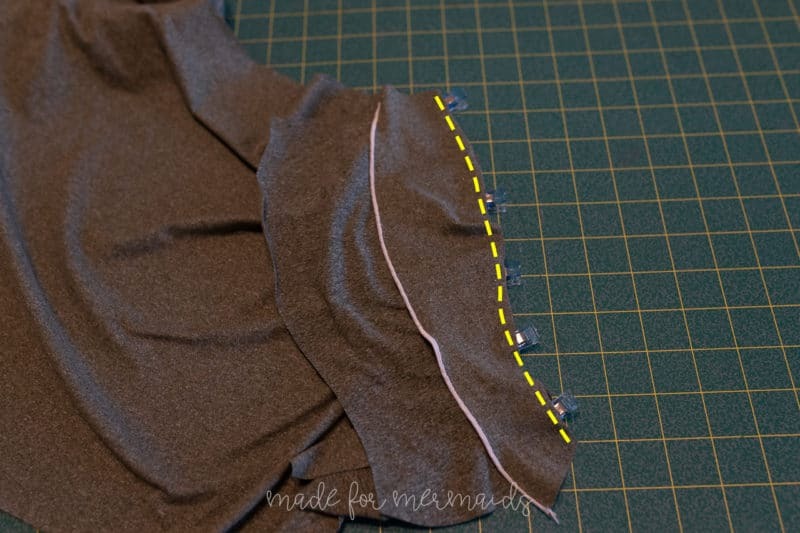 Clip your unsewn center edge to that seam like you did in the previous step. 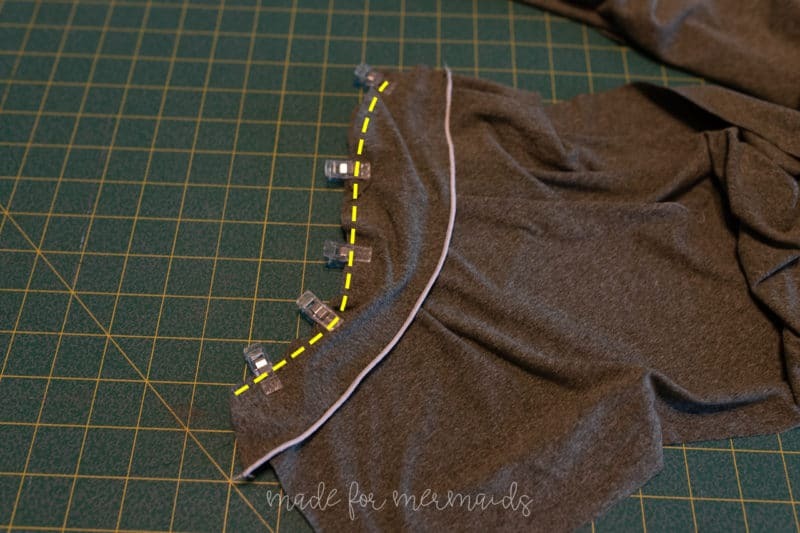 Go ahead and sew! 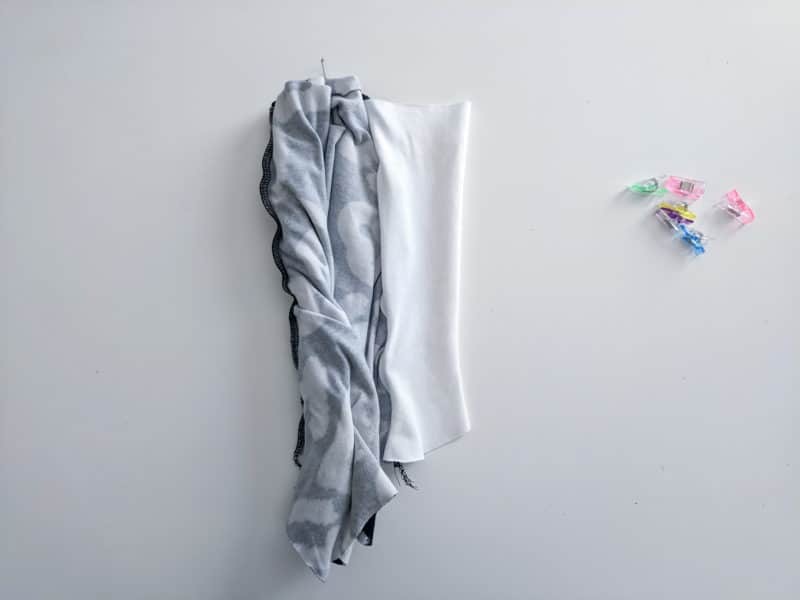 You’ll be left with what looks like a burrito (hence the burrito method- and the rolling 😉 ) Then pull your boxers out through the center and you’ll have enclosed seams on both the front and inside. 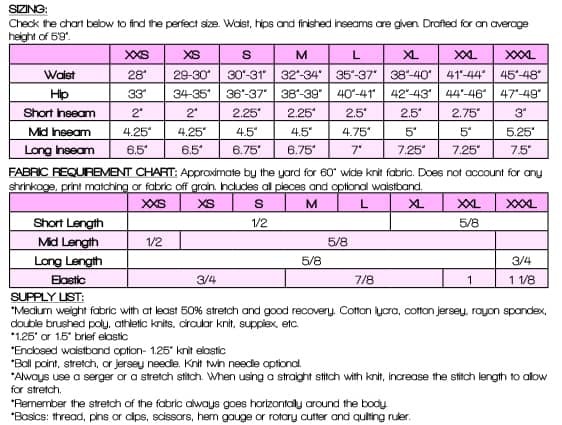 I recommend giving a good press and then topstitching just along the center as shown by the red lines below. 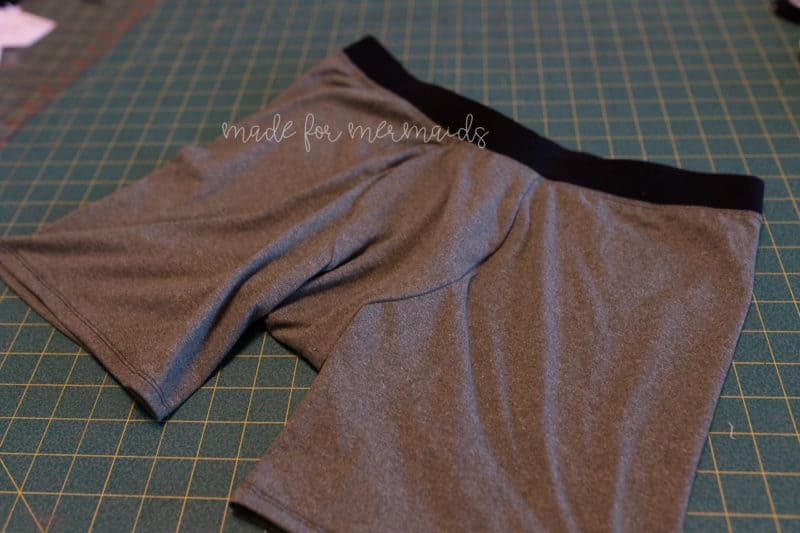 From here you’ll finish your boxers as directed by the rest of the pattern! 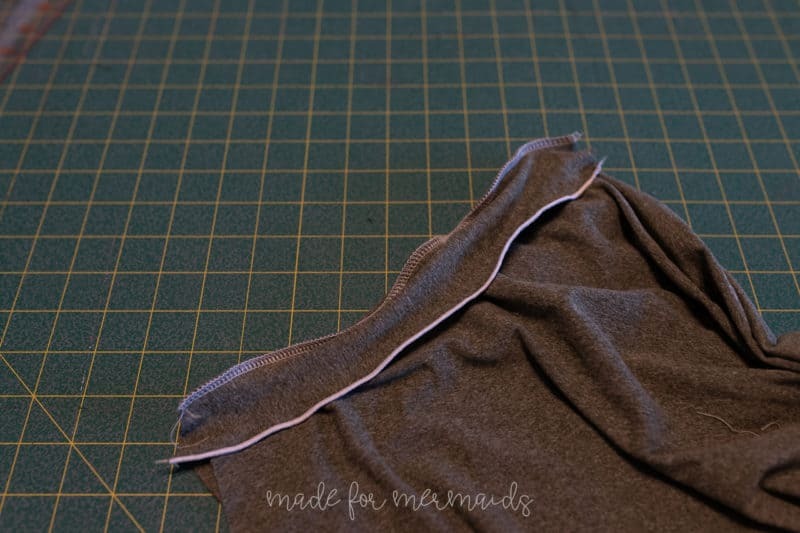 We hope your brief-lover loves the Men’s Gable Pattern and the Gable hacks 🙂 Happy sewing!